In a recent storm two large branches broke off of my tree. They broke off right at the trunk, so I can't cut it back further to make it a clean cut. is there anything I should do to help protect the rest of the tree? The tree is in Southwest Ohio, near Cincinnati. Tree as a whole. You can see essentially the whole back half came down. From the front of the tree though it still looks good. Major bummer! There is not one thing you can do. No painting or sealing. All you can do now is wait to see if what got left for the vascular system will be able to deliver enough water and chemicals to support the canopy above that damage. Where is it that you live? Have you ever used the Cooperative Extension Service of your nearest University? One thing you could actually do is to call them to get an arborist out to check this tree. Very inexpensive. I'd also call your Homeowner Association. This looks as if it is in your front lawn which is also under the auspices of your HOA. If this is one of the 'street or frontage' trees they are kind of in charge. Appearance is everything to the HOA. 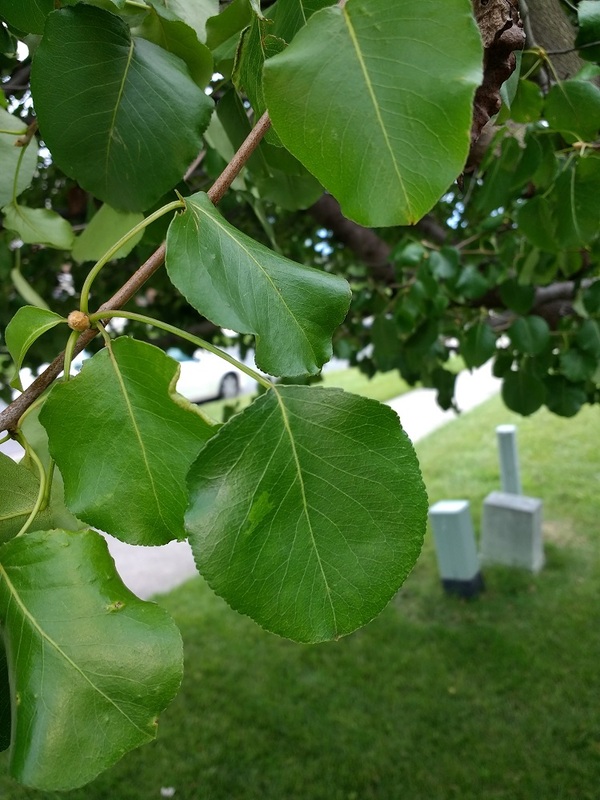 They dictate what kind of trees are in the front yards, the colors of the homes...I am guessing a Linden tree? 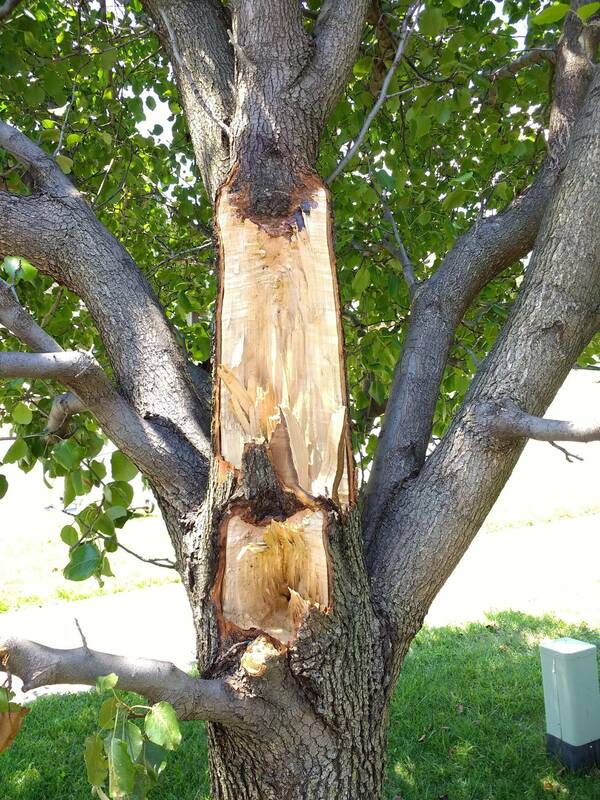 If the canopy above that damage is fairly large...looks like it might be...this tree could also be deemed dangerous. Check these two organizations out and let us know what they say. Another picture of the entire tree would be very helpful, as well as a closeup of those leaves! Not the answer you're looking for? Browse other questions tagged trees branches or ask your own question. How can I manage a weeping willow with a broken branch? 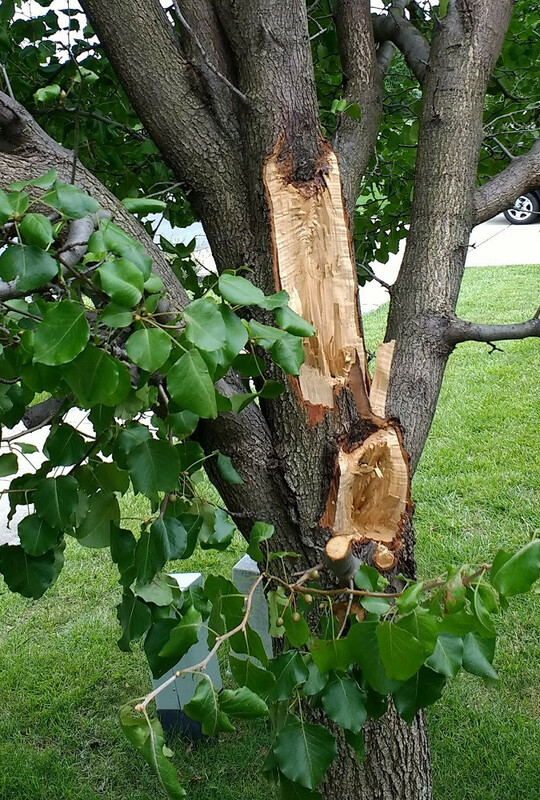 What should we do with a 7-8 year old honey locust tree that has been damaged by disease? Is my maple tree in trouble? How do I encourage my tree to grow a full set of leaves again? 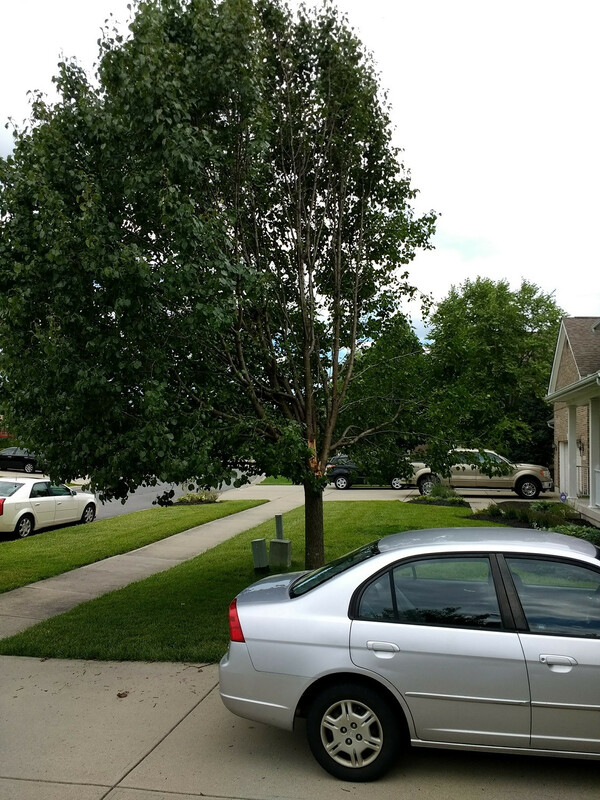 What kind of tree is this and what should I do with it? Can I prune an indoor avocado tree all the way back to stem? How long will it take to grow branches back on a Green Giant?